402 East Kings Street, Approximately 1000 sq ft, $850 month, utilities included. Electric heat and air, private lot, no pets. $25 application fee. Single person only. 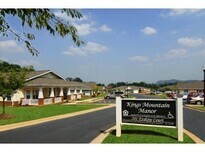 HICKORY CREEK APARTMENTS FOR SENIORS.